Nearly 200 surgeons from India converge at New Delhi, this week, to update themselves on the latest developments in Computer Assisted Robotic Surgery. In this 2-day Robotic Surgeons Council meet, at Indraprastha Apollo Hospital, Robotic Surgeons from the US, UK, Sweden and India will have intensive discussions across specialties. As Robotic Surgery has proven to be most efficacious in cancer cases, the meet will focus on Urology, Gynaecology, Thoracic, Paediatric, General Surgery, and Head & Neck cancers. Obesity reduction procedures in Bariatric surgery will also the subject of discussion. Prof. Peter Wiklund, Professor of Urology at the Karolinska University Hospital in Stockholm, Sweden, one of the pioneers of robotic surgery, who has mentored over 100 robotic surgeons and fellows from around the world, since 2003, will be among the lead speakers. Prof Wiklund, a specialist in removal of cancerous urinary bladder, is among 2-3 urologists in the world to have mastered the technique of creating in situ a new urinary bladder robotically from parts of a patient’s intestine. Dr Nikhil Vasdev, a Consultant Urological and Robotic Surgeon at Lister Hospital, UK will hold an interactive session on cancers in Urinary systems. 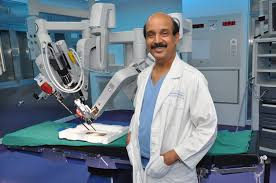 An accomplished minimally invasive surgeon Dr Vasdev is known for mentoring scores of Robotic Surgeons. “After establishing value for Robotic Surgery in India with documented superior patient outcomes and efficacy, India is posed for a quantum jump in Robotic Surgery. We can already see a huge momentum,” says Dr Mahendra Bhandari, Director, Robotic Research and Education, Vattikuti Urology Institute, Henry Ford Hospital, Detroit, USA. 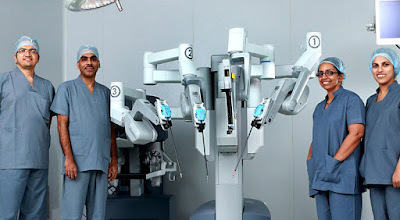 “As Robotic Surgery has to cater to the needs of the masses to overcome scourge of cancer Vattikuti Foundation has worked with the Indian healthcare system to grow the number of just a handful of trained competent Robotic Surgeons in 2010 to 190 currently,” adds Dr Bhandari who is also the CEO of Vattikuti Foundation. Surgeons from Tata Memorial Hospital, All India Institute of Medical Sciences, Rajiv Gandhi Cancer Institute, Kokilaben Dhirubhai Ambani Hospital, Medanta Hospital, Apollo Hospitals, Manipal Hospitals, Max Hospitals, Amrita Hospital, Sir Ganga Ram Hospital, Mohak Hospital, Krishna Institute of Medical Sciences and Rajiv Gandhi Cancer Institute and Research Centre among others will make presentations over the two days. Each surgical robot has 4 arms that can reach organs and areas where human fingers can’t. The 3-dimensional view, that can be magnified multi-fold, helps the surgeons achieve precision that is hard to match. Surgical Robots combine the best of science, engineering and medicine. Today Surgical Robots are being used in almost all specialties involving soft body tissues. Compared to conventional modes of surgery patients benefit by way of minimal blood loss, quick healing and less pain leading to shorter hospital stays. The patient can return to work faster. “In 2015 nearly 4000 procedures were performed in Indian hospitals equipped with Surgical Robots. In general most soft tissue body parts lend themselves to Robotic Surgery, says Gopal Chakravarthy, CEO, Vattikuti Technologies that makes Surgical Robots available in India. 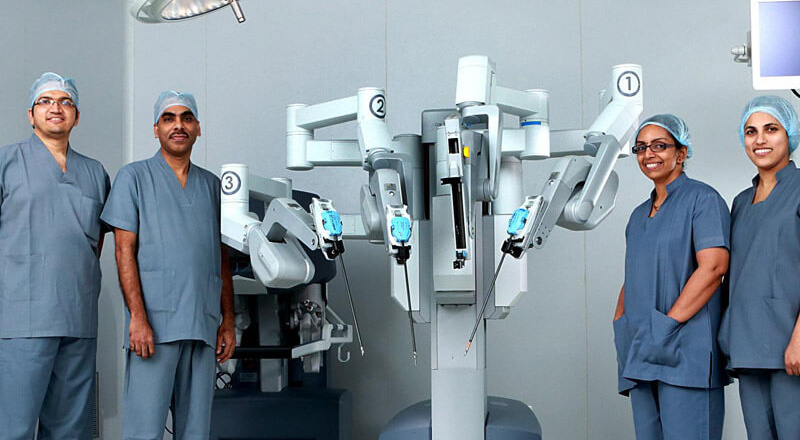 “By the end of the year, we expect Surgical Robots in India to grow to 40”,adds Chakravarthy. Many Indian surgeons have carried out procedures that have not yet been attempted. Vattikuti Foundation is working on a strategy to grow the trained pool of Robotic Surgeons to 300 from the current 190 through its Scholar and Fellowship programs. The Foundation has provided Vattikuti Fellowship to 9 doctors and plans to grow this number to 100. Vattikuti Foundation, that hosts Robotic Surgeons Council meet, is committed to train highly competent surgeons and will continue to motivate young surgeons. Vattikuti Foundation will offer Fellowships to select young surgeons, embarking on their journey to train themselves as Robotic Surgeons, at the meet on April 8 and 9, 2016. The Foundation works with hospitals to make robotic surgery affordable to the masses in India. Vattikuti Foundation is working on a comprehensive strategy to enhance the number of Robotic Surgeons in the country to 300 by 2020. The strategy begins with a medical student engagement program where identified Vattikuti scholars (with a post graduate degree in surgery and a super specialisation) are exposed to webinars and Robotic Surgeons Council meets. About 10 scholars are awarded a 1-year paid fellowship, where they spend full year as an understudy to a Robotic Surgeon. From then on they are expected to become accomplished Robotic Surgeons capable of handling procedure independently.